I’m delighted to be a participant in R.B. Wood’s The Magical Mystery Blog Tour. 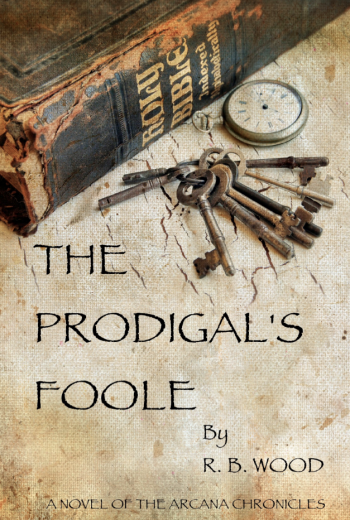 His debut novel, The Prodigal’s Foole, is really a delightful read. Why, you ask? It’s full of all of the shiny goodies that I love in a book. A likeable hero. Twists and turns. Romance gone awry. Throw in a battle between the demonic and priests in Kevlar, and the book would pretty much be perfect, wouldn’t you say? Oh, wait, what? There ARE demons and priests in Kevlar? Score! Symon Bryson, a hard-drinking, snarky Irish anti-hero, has turned his back on his friends and his, uh, rather unique set of skills for the last ten years. Suddenly he receives an urgent message regarding his old mentor, and he decides to come back, bringing his baggage with him. First off, Symon is a likeable protagonist. I dig the scathing sarcasm that hides a lifetime of secrets and pain. The relationships between the characters are intricate and unfold throughout the novel, giving me several “Oh!” moments. I was also impressed with the strong creep factor that runs throughout the pages, which is balanced beautifully by the humor. I liked it, I loved it, I want some more of it. Check out the enticing trailer below. Who, you ask, would write a book like this? Let me introduce you to the author, R.B. Wood. He’s a dear man, helpful and humorous. He’s the man behind The Word Count Podcast (check it out here!) and was even so gracious to allow me to participate on his podcast back in 2010. (Yay! I burbled happily about it here.) R.B. 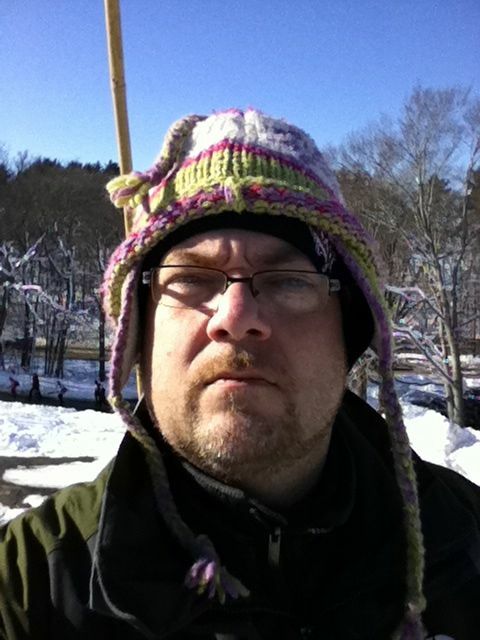 is friendly and professional, but since this is a rather whimsical blog, I asked him to share a picture of himself in a different light. Who is the real R.B. Wood? Would we like him if we ran into him in a dark alley? Yes, yes, I think that we would like him very much. Support a great man, read his great book, and have a wonderful day! I’d recognize that face even if he had a cowboy hat on! Wait, what? Risque cowboy pictures? Now we’re talkin’, boys and girls! That does sound like a fun read. And the hero’s Irish, you say? I’m sold!